Big Beautiful Woman in Atchison Kansas I have light brown hair, blue eyes and a large physique. I weigh about 250 lbs. 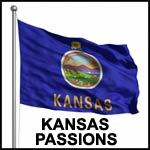 I am looking for a long-term relationship with someone who lives in or around Atchison, KS. Does kimberlyjohnson belong in this group? Flint Hills splendor I've lived in Kansas for more than 23 years. I love the geography, the weather, the topography, the wildlife, the flora and fauna. I used to love the thunderstorms, back when we used to get rain. The wide expanses of prairie and the rolling Flint Hills talk to those who are willing to listen. Kansas is much more than just "flat". Open your eyes and look around. Does robwissen78 belong in this group? Bored in Kansas I am looking for some people to hang out with and have fun. Does shaggyjosh belong in this group? Does hotstud5 belong in this group? Does nobnoster belong in this group? Does billymaxey913 belong in this group? kansas is home to me bcuz.. Does markel27 belong in this group? Chiefs Royals and KU hello KC I'm here for fun enjoy life you only get one. I'm pretty laid back. I am always making people laugh. Does ramirez913 belong in this group? Does crazyjester belong in this group? Does jeepbikerman belong in this group?